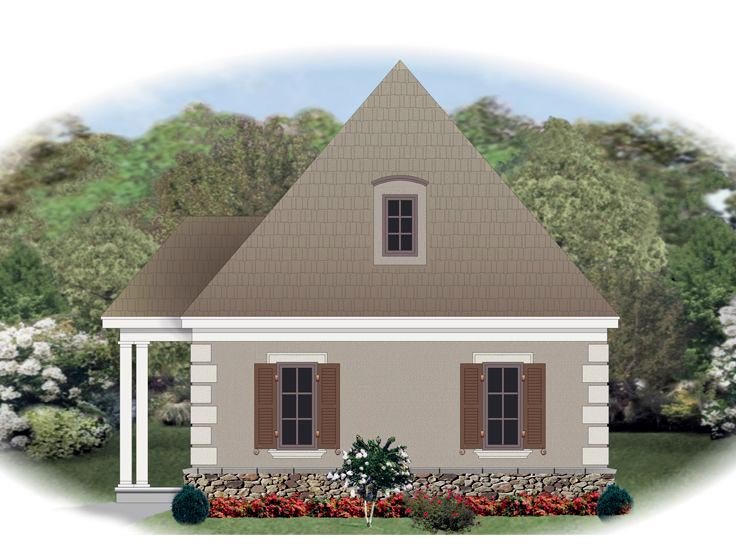 Blended European and Sunbelt styling gives this 1-car garage plan with flex space and storage plenty of curb appeal. 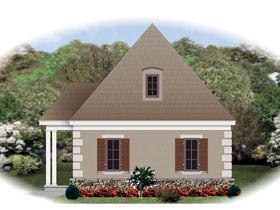 Stone accents, decorative quoins, a covered porch and shuttered windows contribute to its charm. Inside, you’ll find 9’ ceilings and 659 square feet of usable space on the main level. 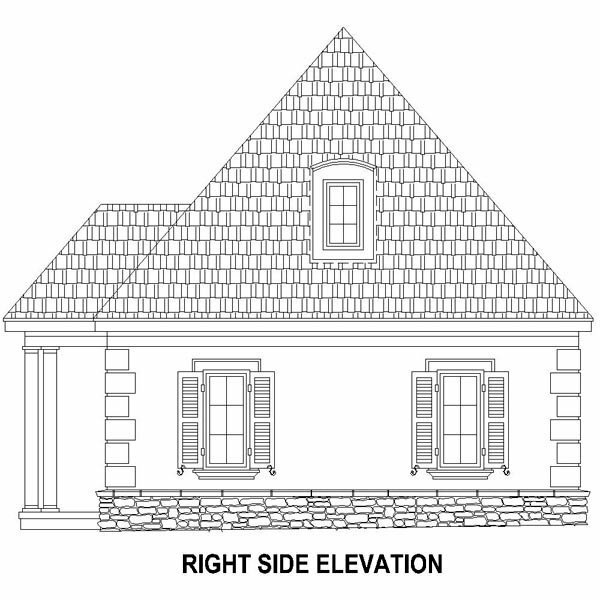 The single bay garage is positioned on the right with access to the front room of the floor plan. Use the front room for a variety of purposes from a workshop to a hobby room. Beyond, the storage area is ideal for tools, lawn and garden equipment or the kids’ outdoor toys. Interior stairs lead the way to the second floor loft, which provides room for stashing boxes and seasonal storage. 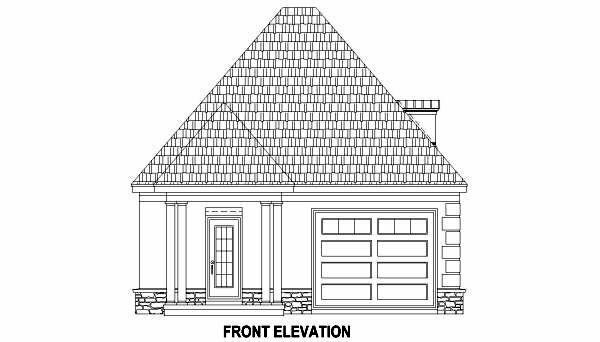 If you are looking for a 1-car garage that can do more, you’ll find it with this garage loft plan.